These beautiful dresses by Prom Frocks will make you feel and look amazing on your Prom event. So versatile that these dresses are also suitable for evening wear and for bridesmaids. The fabrics used are a variety of Chiffons, Satins, Jersey fabrics and the lining fabrics are made from polyester yarns. Prom Frocks are made from fabrics of high quality and are very delicate, we have a garment care guide available and this can be viewed below. Please see the Gallery of dresses below taken from the 2016-2017 Collection. At Pams People Dresses for Special Occasions many of these dresses are in stock so please contact us either by email or phone or by completing the request form below. Prom Frocks Dresses are available in a variety of sizes and a variety of colours so please quote the “PF” number of the dress and colour so we can check on availability. 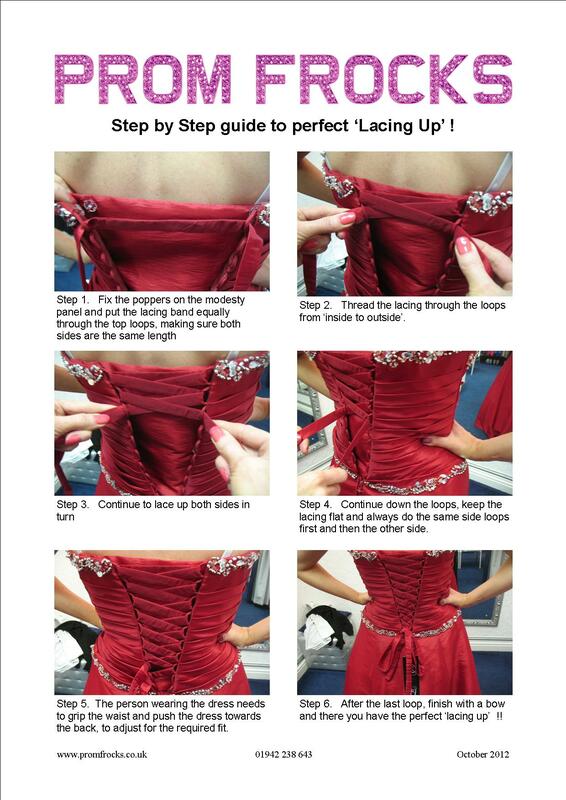 How to take care of your Prom Frock and a guide on how to the perfect lacing-up of your Prom Frock. Please complete the contact form below to make enquiries and include the PF number in the subject or message.